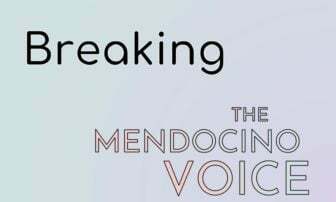 UPDATE 6:55 p.m. -- The Willits Unified School District has released a statement on Facebook explaining that the two people killed in yesterday's crash were a girl in the eighth grade named Victoria, and her aunt Bobbie Martin. Victoria attended Baechtel Grove Middle School and the school will be making counselors as well as their "crisis intervention team" avaliable to the students. A GoFundMe memorial fund has also been created, which you can find here. 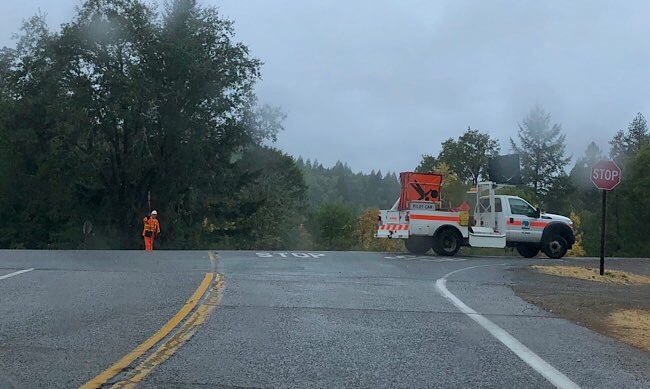 WILLITS, 9/30/18 -- A woman and her teenage niece* were killed yesterday, when their vehicle crossed the center divider on U.S. Route 101, just north of Willits, and slammed into a big rig. The driver of the big rig suffered only minor injuries. According to a CHP press release issued today, the two women were heading north on the 101 in their Dodge Ram pick-up at about 1:40 p.m., near the intersection with Reynolds Hwy. when, for unknown reasons, the driver of the Dodge "lost control of her vehicle" and crossed into the southbound lane. The driver of the big rig, a 1997 Peterbilt hauling a load of lumber, attempted to avoid the the Dodge, but couldn't and the driver's side of the Dodge slammed into the big rig. Both the driver and the passenger in the Dodge were pronounced dead on the scene. The crash resulted in the load of lumber being strewn across the roadway, and in the Dodge catching fire. The truck driver was determined to not be under the influence of alcohol or drugs. According to the CHP, "It is unknown at this time of drugs or alcohol were a factor in this collision." The names of the deceased have been withheld pending notification of the family. Hwy. 101 was closed for about two hours after the accident, while the scene was cleared, and then opened with one lane traffic control for a time. 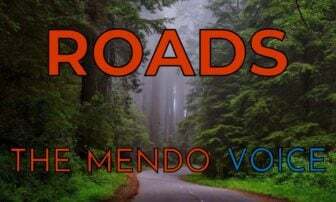 On September 29, 2018, at approximately 1338 hours, a 2008 Dodge Ram 1500 pick-up, with two female occupants, was being driven northbound on US-101, near Reynolds Highway, north of Willits, CA. at an unknown rate of speed. Robert Maffia, of Ukiah, CA., was driving his 1997 Peterbilt tractor/trailer combination, southbound on US-101, near Reynolds Highway, at approximately 55 MPH. For reasons still under investigation, the driver of the Dodge lost control of her vehicle and it crossed into the southbound lanes, directly into the path of the Peterbilt. Mr. Maffia took evasive actions; however, despite his efforts, the Peterbilt collided with the driver's side of the Dodge. The Dodge spun out of the roadway and came to rest on the west shoulder of US-101. The Peterbilt came to rest in the northbound lanes of US-101. The load of lumber being hauled by the Peterbilt, spilled off the trailer and into the roadway, blocking both directions of traffic on US-101. The driver and passenger of the Dodge were pronounced deceased at the scene. Their names are currently being withheld pending notification of the next of kin. It is unknown at this time of drugs or alcohol were a factor in this collision. Mr. Maffia was treated at the scene for minor injuries. He was determined not to be under the influence of alcohol or drugs. 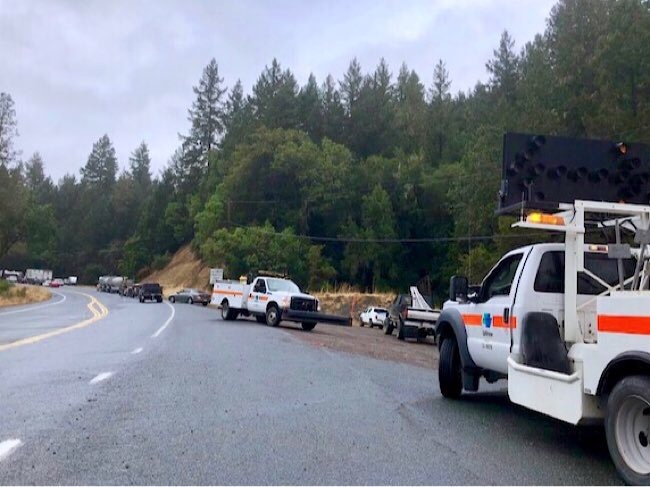 Due to the recovery of the vehicles, scene clean up, and the collision investigation, the northbound and southbound lanes of US-101 were closed for approximately two-hours. One-way traffic control was then established for continued collision scene investigation and clean up efforts. The California Highway Patrol Garberville Area is investigating this collision. *Correction: An earlier version of this article stated that two women were killed when in fact one of the deceased was a child.